This is a bonus article to our series: Elite Player Workouts. 45-60 Minute Workouts: Have a workout plan, attack each drill, and be productive. Workouts don’t have to be 2-3 hours. Footwork separates the good players from the ELITE players. Basketball is a contact sport…..learn to embrace the physical side of the game. This can be developed!!! Take contact on initial move. Contact at the rim on finishes. Contact while rebounding the basketball. Reps, Reps, Reps: #1 way to improve your shooting is by getting shots up. Set a Goal: Time your drills or have a set number of makes. Adds an element of pressure to each drill. It takes 2 weeks to learn a new skill and 2 months working at game speed to perform in a game. 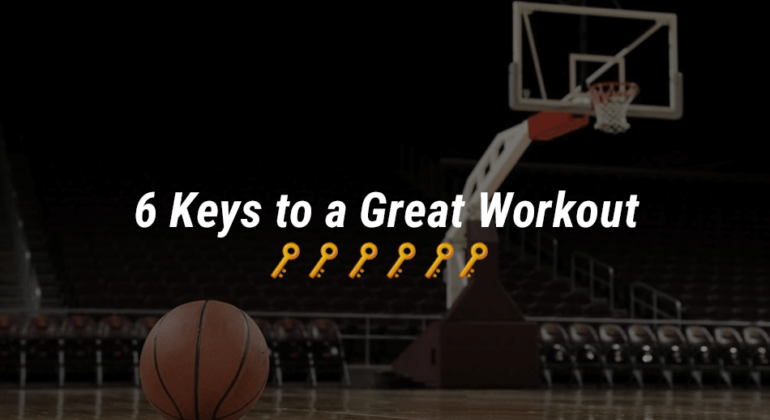 This is a bonus article in a series of posts put together to help you become an elite player, including a bonus section to ensure you get the most out of your time in the gym. Great players and great teams do more than what’s required, love to be coached, accept criticism, master the fundamentals and are passionate about practice!